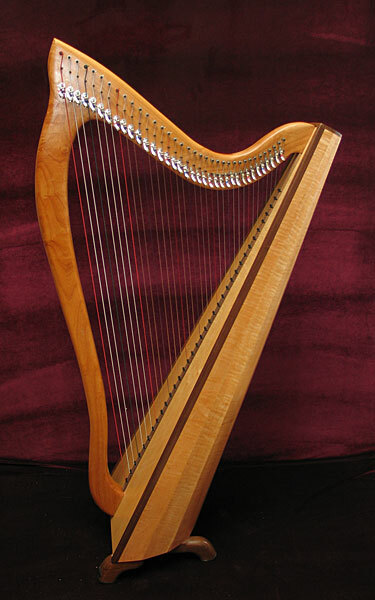 You will find this harp very comfortable to play. The staved back is easy to reach around. The string spacing is standard pedal harp spacing, and the tension is just right. The neck and pillar are solid cherry or alder wood laminated in five layers for lasting strength. 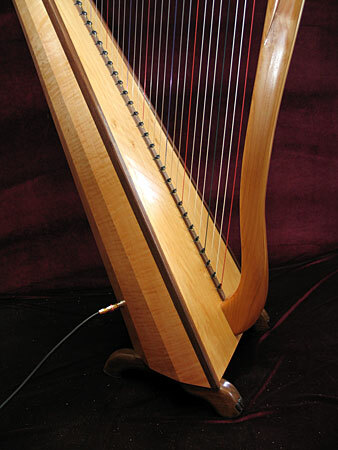 These woods have an excellent balance of stiffness to weight, for great harp sound. The soundboard is solid spruce, with a cherry or maple veneer. 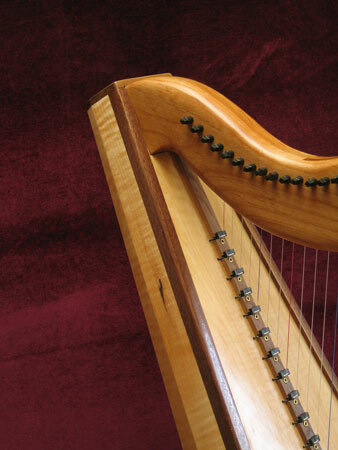 The staves of the soundbox are often a decorative hardwood or matched to the neck wood depending on availability. The overall visual effect is carefully considered. 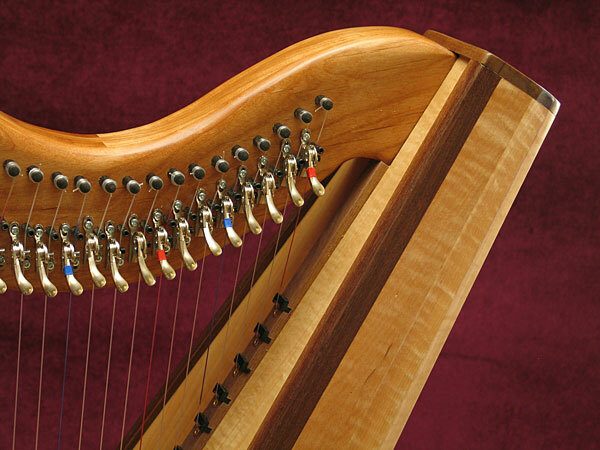 Since most public performance is amplified these days, it is a great advantage to have the system built right into your harp. I install a Kortier piezo transducer at the base of each string. These are wired together and output through a small preamplifier (Fishman Powerjack) inside the harp. You can use a standard guitar cord to plug into any amplifier or house sound system. There is no fuss and there are no surprises. You literally plug and play, and always get big beautiful clean harp sound with no chance of feedback. 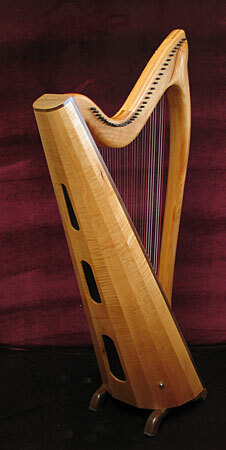 The harp is supplied with a lightweight travel case. With harp packed inside, the package weighs only about 30 pounds. Includes case, tuning wrench, and extra set of strings.